Live Creating Yourself. : I found love. And it only cost me $35. going to zara NOW. seriously. and those loafers?! Omg. you neeeeeeded to have them! you are my hero for sharing this with me! I can't wait to pick some up!!! 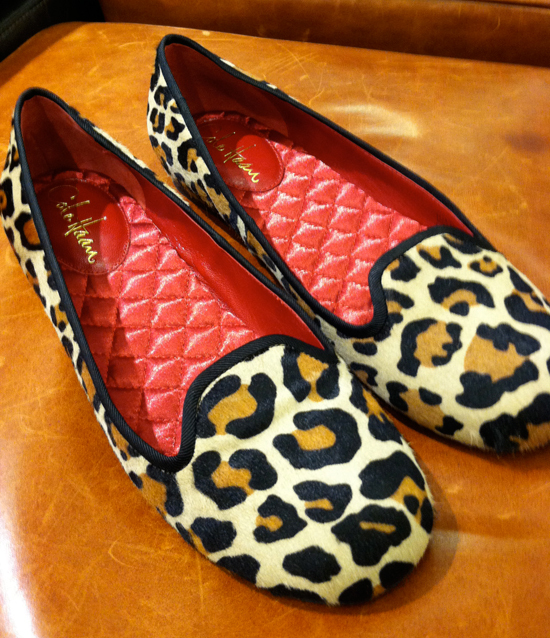 Love the loafers! Great choice! They look great on you! Thanks so much for sharing! I want some, but what's the sizing like? I can't decide between a 2 and 4. Great purchase! You will wear them with everything! Darn, they are out of my size in red and green , boo ! thanks for sharing that source! sadly, I'm a shopping freeze myself, so I'll put the jeans on my wishlist and hope someone buys me a pair for Christmas. Love these! I've been looking for an affordable option — thanks! Nice find! I'm going to look for them in Zara when I'm Chicago tomorrow since we don't have a Zara here in Minneapolis! They look awesome! I'm a big fan of Urban Outfitters BDG skinny jeans, but next time shopping I'll try these ones, love all the colors, especially the navy and the pink! 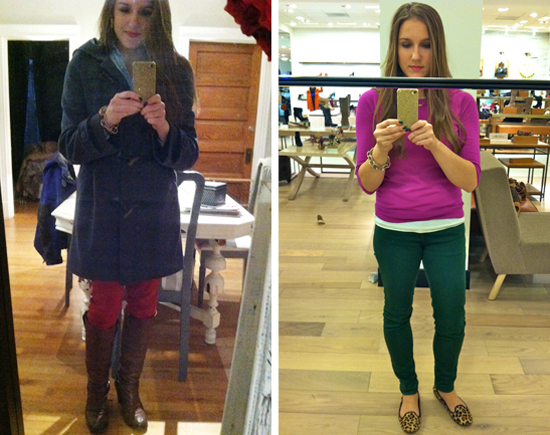 I realize this post is mainly about the jeans, but I LOVE Cole Haan! You should have been in the store on Black Friday...50% then an extra 20% off of everything! Those shoes are very cute. I adore the look of green skinnies with that magenta-y top! How J. Crew of you. :) Seriously though, I need to get to Zara ASAP to try a pair of these on. $35 is a steal indeed. $35 is a steal! Well done. :) And, I love the loafers! I bought the green ones in November - So comfy ! And for the price, i want to buy one of each! I have the red ones and absolutely love them. Such a great price too! Such a steal and they look adorable on you! Wanted to get a pair for my bf's sis but they're sold out in her size online (and Seattle doesn't have a Zara... yet!). My phone is currently rocking that same sparkly gold phone case - I love it! Thanks for sharing the great finds - colorful pants & leopard shoes?! hahaha Im actually wearing the green ones! Dang it......why did I have to see these shoes???? Why? Cause there will be no rest until found and purchased.